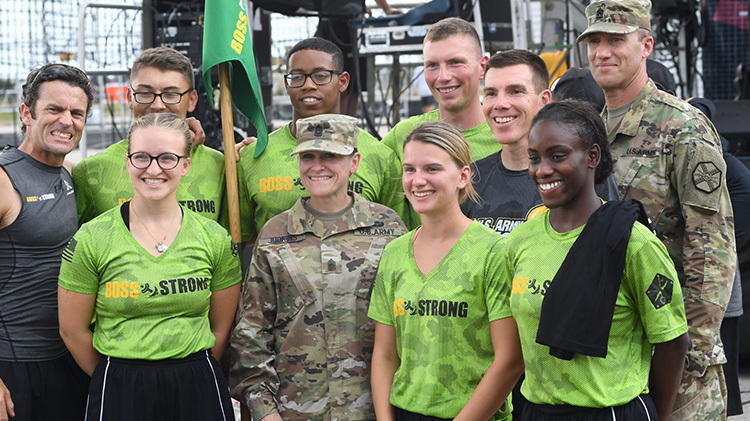 The BOSS Strong is a competition using peer to peer support to challenge Soldiers with a holistic approach to fitness. Participants enhance their quality of life, contribute to their community through community service activities, and assist in the planning and execution of their own recreation and leisure events. The six-person teams will compete at their local garrisons where one team will go to San Antonio to compete in the grand finale and train with NBC's Strong winner, Bennie Wylie. Hurry, registration ends soon at your local BOSS office.